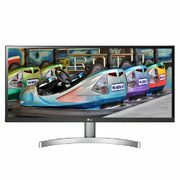 Staples Staples Flyer Roundup: LG 29" Ultrawide Monitor $270, Logitech G513 RGB Gaming Keyboard $150, Sony Bluetooth Speaker $30 + More New Flyer! Sony Bluetooth Speaker $30 + More! The latest Staples flyer is here and you can see it right now on RedFlagDeals! 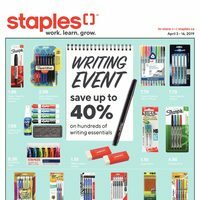 This 12-page flyer runs for two weeks and features the Staples Writing Event, where you'll find deals on stationery and writing essentials, along with the usual array of popular electronics, gadgets and office supplies. Here are a few highlights from the Ontario region flyer. Want to save even more? Sign up for Staples' e-mail newsletter to take $10.00 off orders of $100.00 or more! This flyer is effective online and in Staples stores (where available) from April 3 to 16. Staples.ca offers free shipping for orders over $45.00, along with a free in-store pick-up option with no minimum order.